You will get far far better value buying online from a reputable online vendor like Blue Nile or James Allen. 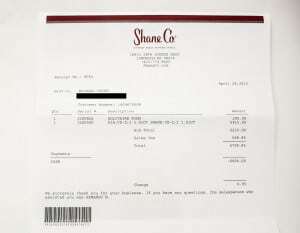 Shane Co sells uncertified diamonds next to certified ones. They stock diamonds with terrible cuts. And to top it all of, their prices are astronomical. As always, if you’d like help choosing the perfect stone for your budget please don’t hesitate to reach out to us. 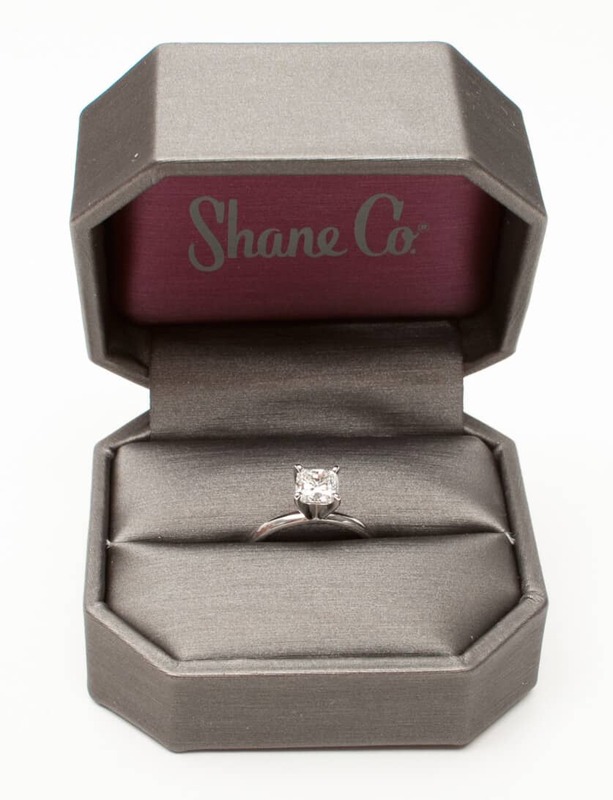 Shane Company is a well known family jeweler that has been operating for over forty years. The family run jewelry store first opened in the 1920s. Shane Company has since expanded with 20 stores currently providing services in 13 states. The founder, Tom Shane, is well known for his radio ads. One of those ads caught my ear years ago. Fortunately, its been saved for posterity in this Youtube clip. I visited their shop on a lazy Tuesday morning. There weren’t many customers there, and I was quickly greeted by several employees. A slick talking salesman detached himself from the group to help me and my friend. I let my friend take the lead as I wanted to see how they would deal with a novice shopper. Some of the things I heard were incredible, most notably how certification is unimportant. We were shown four cushion cut diamonds — three non-certified diamonds and one GIA certified diamond. I was sorely tempted to buy one of the non-certified diamonds and send it to GIA, but I did not have the time for it. The “best” option of the three non-certified was a 1.00 J SI1. While the clarity could charitably be called SI1 (I doubt it would have gotten that grade at GIA), the color did not meet the criterion. They would have been lucky if the diamond got a K color. I wouldn’t be surprised if GIA gave it an L color. 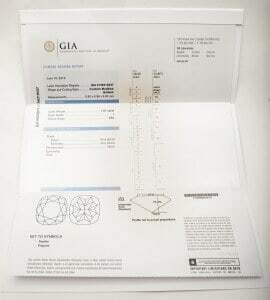 After asking several times for GIA certified diamonds, I was shown a 1.01 I VS2. The specifications on the diamond were far from impressive (See Certificate to the right). The depth on this diamond was terrible. It made the diamond less brilliant and look smaller. However, it was the best of the bunch. I decided to go with this one for the purchase. As for the jewelry, there was nothing special about it. Everything about it screamed mediocricy. I would have liked to have gotten a more elaborate setting to highlight this. Unfortunately, my time restrictions prevented me from doing so. I just couldn’t find a compelling reason to go with any of their settings. I was secret shopping Blue Nile at the time and had this beautiful solitaire setting on my desk. It looked far more delicate and exhibited far superior craftsmanship. Obviously, I was unimpressed with the general shopping experience. The diamond quality in particular was most lackluster. If a reader sent me a question about either of those diamonds, I would answer that you shouldn’t buy them at any price. 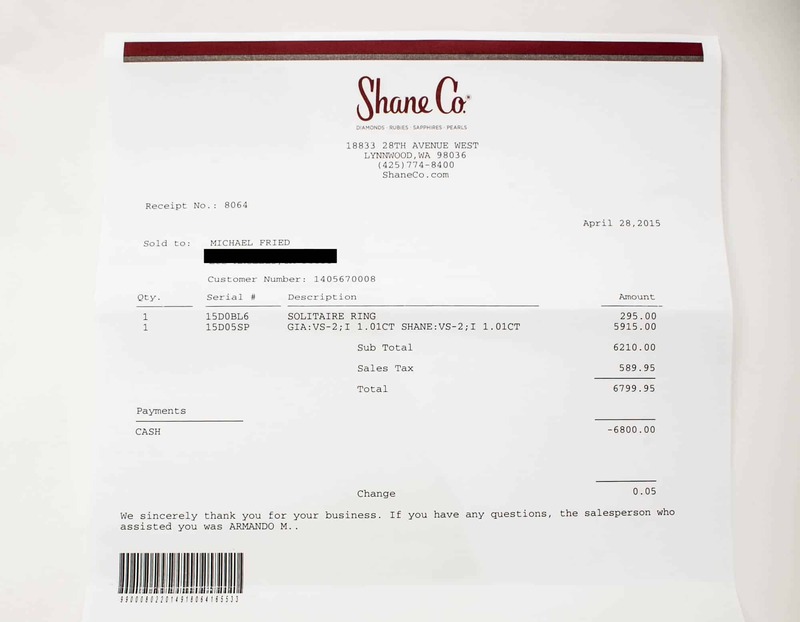 But how were the prices on Shane Co’s selections? One word can sum up the experience at Shane Co: obscene. I was floored when he quoted the prices. The non-certified “J SI1” (a.k.a. the low end K SI diamond) was $4,805 plus tax. The value of that diamond was considerably less than what was quoted. 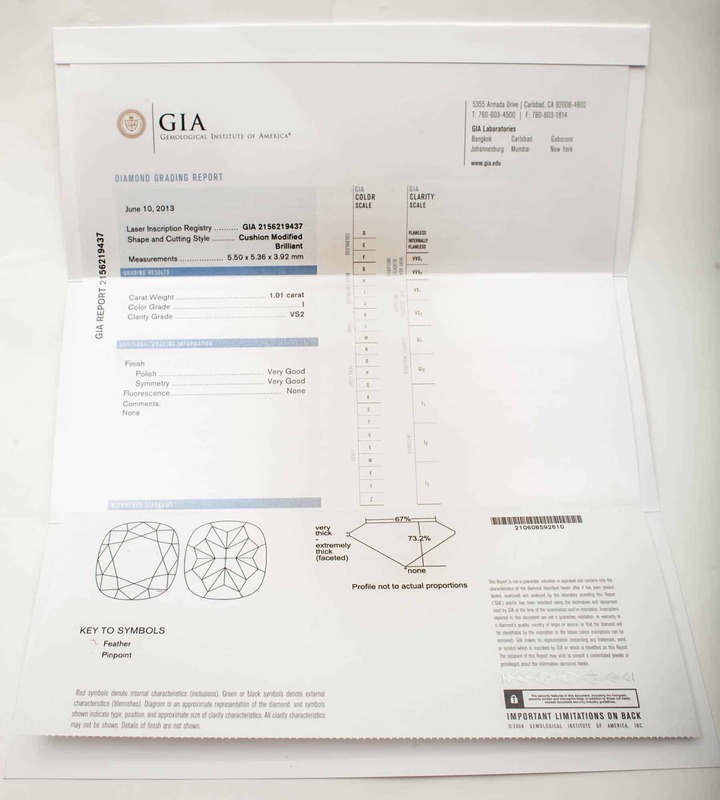 The real kicker, however, was the GIA certified diamond, which came in at $6,477, including tax. Taking a quick look on bluenile.com, I saw similar diamonds for half the price of Shane Company’s offerings. One example would be this 1.02 I VS1 that is featured by Blue Nile $2,725. This diamond is vastly superior (specifically cut, but the better clarity makes it an even better value) for less than half the price. Please don’t take our comparisons here as recommendations for what you should buy (though that is a great looking diamond). We are just trying to find similar diamonds so we compare apples to apples. If you are looking for help buying an engagement, contact us and we will make personal recommendations for you. The 9.5% sales tax may be considered a bit steep, but that is the difference in net cost to the consumer (as internet purchases are generally tax free interstate). Even if you don’t count that, it’s still 80% more expensive. Many readers tell me that they are more comfortable buying in person than on-line. This is a perfect example of why little is to be gained from the in-store experience. Here, you have someone, in person, pressuring you to buy a specific product. Said salesperson doesn’t care about quality — the main objective is pushing product and remembering sales tactics. They charged a huge premium and for what? The advice we received was incorrect. Telling people that certification is a waste shows a lack of integrity. The service and setting were average at best, and I ended up with a poor quality diamond. What exactly was I throwing my extra $3,000 into? I felt the need to reference that radio spot, because it kept coming back to me while listening to the sales pitch. It was even worse when I came in to return the diamond. At that point I was given the really hard sell. We obviously think you should be buying online (there is no way to compete with the value, and the service ends up being about as good as 90% of the stores out there). You should certainly avoid stores like this. If you have further questions, or want more personal advice, feel free to contact us. We’ll be happy to help.